George H.W. 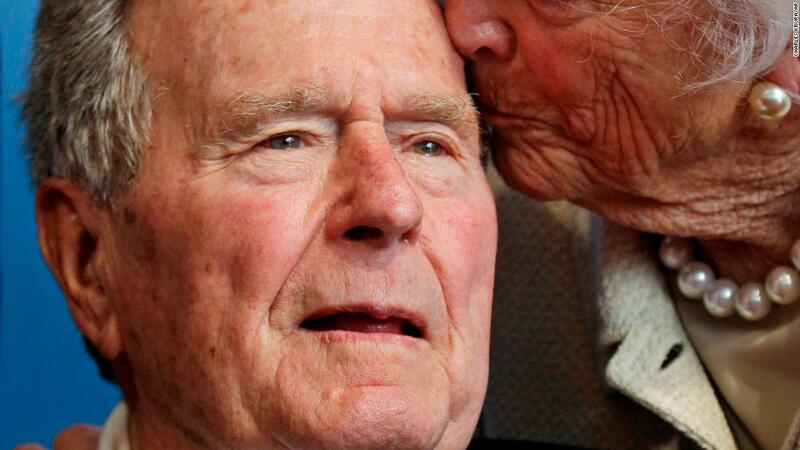 Bush, the 41st President, whose steady hand and foreign policy vision led the nation through a period of sweeping global change, has died at the age of 94. CNNSpecial Report “Remembering 41: President George H.W. Bush” airstonight at 8 p.m. ET. led the nation through a period of sweepingglobal change, has died at the age of 94. Great program A well loved President . I enjoyed it very much Thank you CNN. President George H.W.Bush’s service dog is honoring the late president with his own tribute in frontof Bush’s flag-draped casket. A very loved president. A man of substance. His dog Sully lay beside the coffin in the rotunda. Touching.